The process of buying a foreclosed home is slightly different from the process of buying a non-foreclosure home. If you want to invest in Asheville foreclosures, therefore, it is important to understand the different ways by which to purchase a foreclosed home. Some delinquent homeowners may want to sell their homes before facing an actual foreclosure.In this instance, the homeowner, in agreement with the lender, agrees to sell the home for less than the amount owed on the mortgage.This is called a short sale. Short sales are “pre-foreclosures”, of sorts. By broadening your home search to include short sales, you can identify homes that may be sold at a discount. Another way by which you can invest in foreclosure homes is by buying the home at auction. From area to area, the legal requirements for the sale of a foreclosed home at auction may differ. If you plan to buy at auction, you’ll want to be familiar with your area’s customary judicial proceedings. Buying after the auction means buying bank-owned properties. 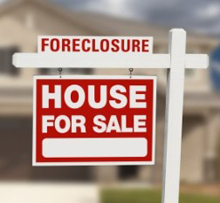 This can be the most lucrative and safest means of investing foreclosure properties. This is because lenders often reduce the sales prices of their home inventory in order to “sell it quickly”. It can be expensive for banks to own foreclosed homes, and few banks are equipped for managing owned homes. Check with your local real estate agent to see what, if any, bank-owned homes are available for sale in your area. The process of buying a distressed home is different from the process of buying a “traditional” one. Therefore, regardless of which path you follow to buy a foreclosed property, have an experienced real estate professional on your team.